Rest and refresh at the renovated Comfort Inn hotel in Hammond, LA. We give you easy access to Southeastern Louisiana University, Zemurray Gardens, North Oaks Hospital, Chappapeela Sports Park and Ponchatoula. 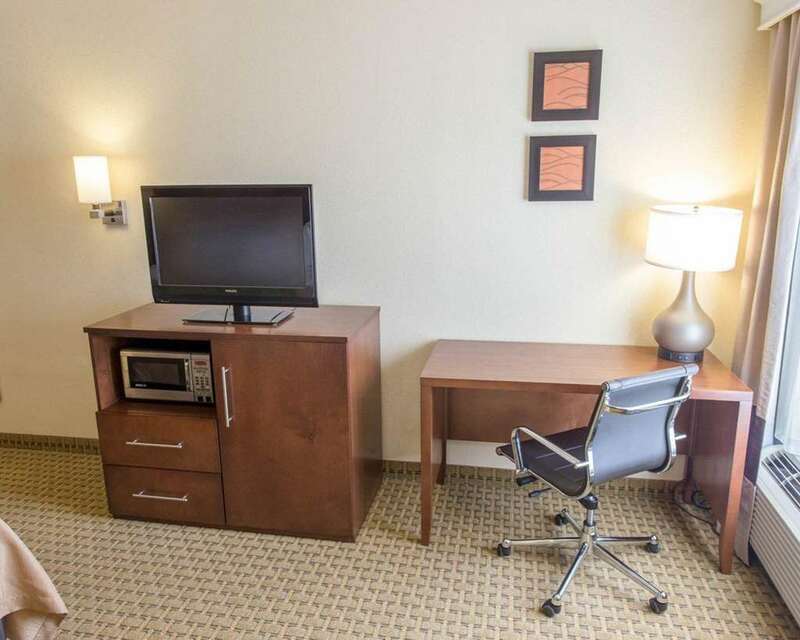 Get ready to take on the day with such amenities as free WiFi, free parking, free hot breakfast, free coffee, fitness and business centers, laundry facilities and an indoor heated pool. Behind every great day is a great night in your cozy guest room, which features a refrigerator, microwave, coffee maker, hair dryer, iron and ironing board. The more often you stay with us, the more rewards you earn with the Choice Privileges Rewards program. Hotel requires 100.00 USD incidentals deposit on personal credit or debit card upon check-in. Deposit sum will be released upon guest check-out and will be placed back into card account in a timely manner in accordance to the issuing banks guidelines.